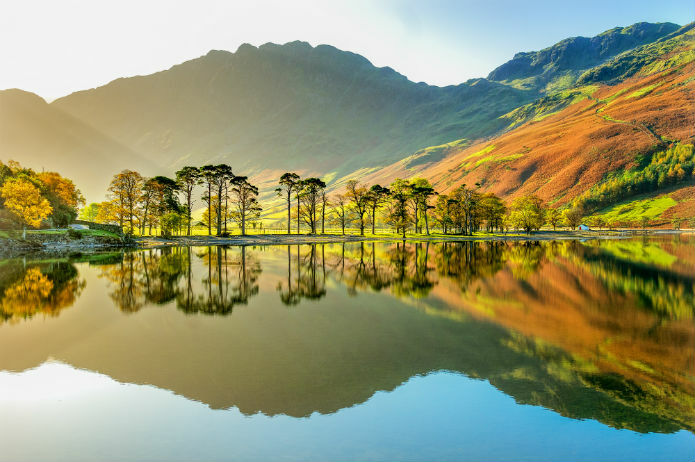 A favourite weekend away among families for many years, the Lake District appeals to outdoor adventurers and families wanting to enjoy a few days in the countryside. Adventure to the remote lake of Wastwater, the deepest of all the lakes in the Lake District. This lake is worth the visit for the views alone but if it’s lakeside activity you’re after then head to Ullswater where you can enjoy the day on one of the famous Ullswater “Steamers”, legendary for providing some of the most scenic views on offer in the Lake District. If you prefer to do the hard work yourself, Lake Windermere has kayaks, canoes and bicycles for hire. Families will also love The World of Beatrix Potter in the middle of Bowness-on-Windermere where book lovers can get wrapped up in the world of Peter Rabbit and friends. If you’re in the Lakes for the walks and countryside, be sure to make a pit stop at one of the 24 microbreweries in the Lake District National Park or at one of the cute little cafes in the village of Grasmere. 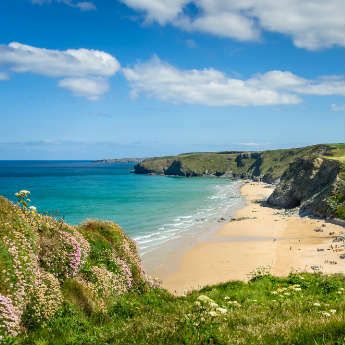 Beautiful beaches, wild countryside and a surf culture that will chill out the most stressed out office worker, Newquay is the place to be if you want to catch some waves. With plenty of surf schools and board hire shops dotted along Fistral Beach, surfing is a must try activity if you’re in Cornwall. 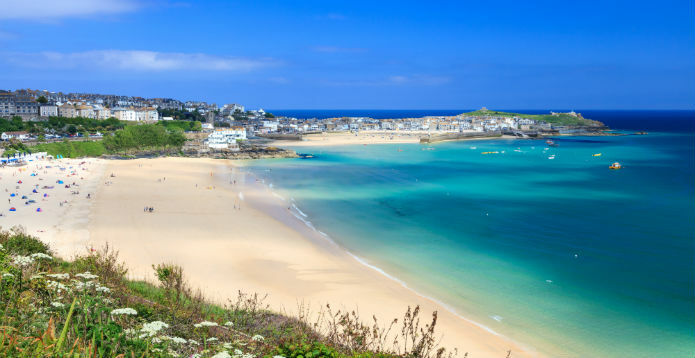 Alternatively, St Ives offers a relaxed vibe with art galleries and a hillside walk that leads walkers up to beautiful views of the sweeping white beach. If you’re into your arts, the stunning Minack Theatre in Porthcurno is perched next to the sea and entertains guests with Shakespearian and modern performances throughout the year. It’s not just the south that has coastal views to die for. Northumberland is a wild example of how the UK’s coastline is some of the best in the world. With 30 miles of beaches and seaside villages famous for their historic castles, Northumberland has a coastline that’s just waiting to be explored. Bamburgh Castle is a resorted beauty overlooking the sea and the ruins of Dunstanburgh Castle are at the end of a coastal walk from Craster, a place famous for its smoked kippers. Slightly further afield is Alnwick castle, home to a giant treehouse, Harry Potter’s broomsticks and a forbidden poison garden. Enter if you dare! During the evening, head inland to Kielder Water and Forest Park where designated “Dark Sky” space means you can see some of the clearest night skies in the UK, just make sure to wrap up warm! North Yorkshire is a big county, there’s no way you could see it all in one bank holiday weekend but there are some highlights you need to check out on a 3 day trip. 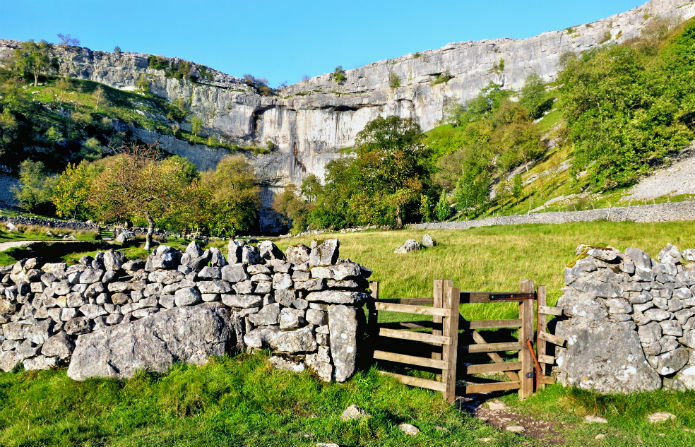 Malham Cove in the Yorkshire Dales is a dramatic limestone cliff that was carved out by glaciers thousands and thousands of years ago. This place is popular with walkers and climbers but if you don’t fancy scrambling with the pros head to Brimham Rocks, a National Trust area that kids and adults alike will love for its climbing opportunities. Away from nature is the busy, but equally pretty city of York. Marvel at York Minster, one of the oldest and largest in Europe and walk down the cobbled street of The Shambles where old shop fronts crowd over the street. 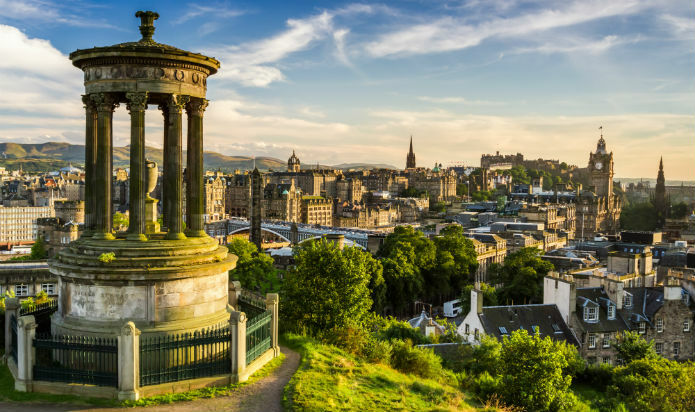 A lot of people automatically turn to London for a UK weekend city break, but why not travel north instead and head to the Scottish capital of Edinburgh? This city is buzzing with activity and hosts several major festivals including Hogmanay at New Year, Burns Night in January and the famous Edinburgh Fringe Festival at the end of August. Enjoy the city landscape from a birds-eye view when you climb to the top of Arthur’s Seat, part of an extinct volcano which also houses a well-kept fort. Edinburgh is also a great shopping city and you can find a huge choice of shops on Princes Street, St Andrews Square, George Street and The Royal Mile. 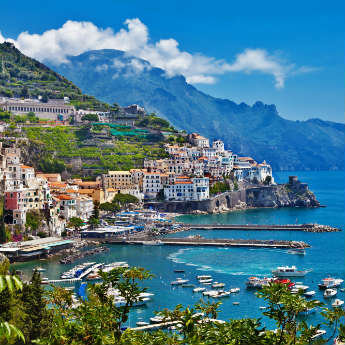 There might already be a couple of coastal destinations on this list already, but when the weather's nice it can't hurt to have too many options! 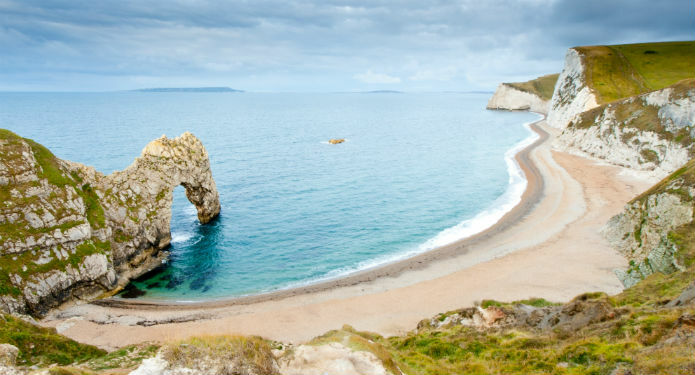 Take advantage of a 3-day weekend to explore the Jurassic Coast, which covers 95 miles of East Devon and Dorset’s coastline. Step back in time, discover fossils that are hundreds of thousands of years old and learn about ancient dinosaurs that used to roam this part of the UK. Hikers will revel in the wild walks along the dramatic coastline and enjoy the beautiful views which seem even more stunning at sunset. Snowdonia National Park, a place for those that like adventure, rugged mountains, exhilarating thrills and medieval heritage. The centre piece of this National Park is Mount Snowdon, the highest mountain in Wales at 1085 metres above sea level. Take on the heights of the mountain at Zip World and fly face first down the longest and fastest zip line in Europe or dive in to the belly of the ground and visit Bounce Below. This is a maze of trampolines and nets strung across the inside of a cavern that’s twice the size of St Paul’s Cathedral! 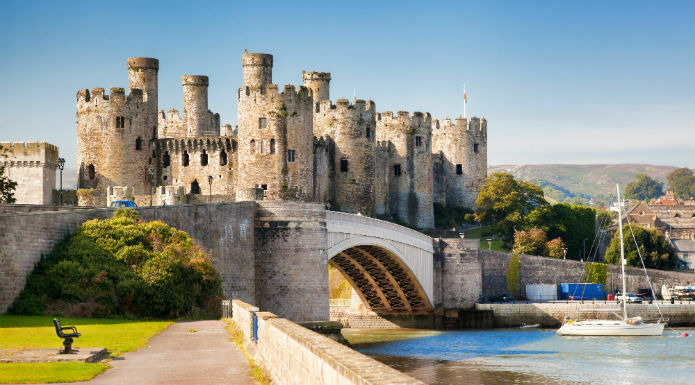 If adventure isn’t your thing, visit the medieval town of Conwy, a walled town that guards the impressive Conwy Castle. Here you’ll get a sense of how fiercely this little town was protected in the past and you might also spot Britain’s smallest house hidden between regular buildings in Conwy. 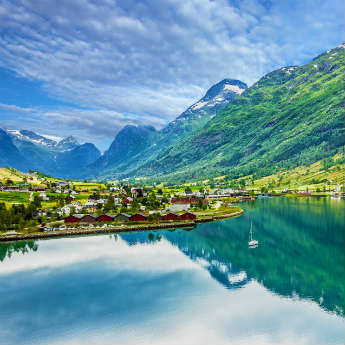 Feeling inspired to check out a new UK destination? Take a look here for your next mini adventure!